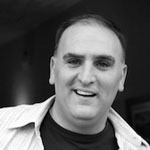 A native of Spain, José Andrés is chef/owner of ThinkFoodGroup, and is responsible for Washington’s popular and award-winning dining concepts Jaleo, Zaytinya, Oyamel, America Eats Tavern and the critically-acclaimed minibar by josé andrés. José was named Outstanding Chef of the Year at the 2011 James Beard Foundation Awards. One of GQ magazine’s 2009 Men of the Year, José is credited with introducing Americans to both avant-garde and traditional Spanish cooking. Born in the northern region of Asturias and raised outside of Barcelona, José chose cooking as his life’s work at the age of 15. He attended the School of Restaurants and Hotels of Barcelona and trained in Michelin-starred restaurants including El Bulli with world-renowned Master Chef and friend Ferran Adrià. Throughout his career, José has drawn the praise of the public, the press and his peers for his vision, imagination and winning restaurant concepts. José is Chairman Emeritus for DC Central Kitchen, a cause close to his heart that combats hunger and creates opportunities with culinary training. He was also recently tapped by the Secretary of Commerce to serve on the US Travel and Tourism Advisory Board. He lives in Maryland with his wife and three daughters. 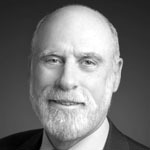 Widely known as one of the “Fathers of the Internet,” Vinton G. Cerf is the co-designer of the TCP/IP protocols and the architecture of the Internet. Cerf has served as vice president and chief Internet evangelist for Google since October 2005. In this role, he is responsible for identifying new enabling technologies to support the development of advanced, Internet-based products and services. Comedian/musician Reggie Watts is a staple of the international performance scene. Reggie’s improvised musical sets are created on-the-spot using only his formidable voice and a looping machine. No two songs are ever the same. An avowed “disinformationist,” Reggie loves to disorientate his audiences in the most entertaining way. You may not know what Reggie is going to do, but that’s okay – he doesn’t either. Hilarious, brilliant, unpredictable – comedian/musician Reggie Watts is a staple of the international performance scene. Reggie’s improvised musical sets are created on-the-spot using only his formidable voice and a looping machine. No two songs are ever the same. An avowed “disinformationist,” Reggie loves to disorientate his audiences in the most entertaining way. You may not know what Reggie is going to do, but that’s okay – he doesn’t either. As a solo performer, Reggie was handpicked by Conan O’Brien to open nightly on Conan’s entire North American “Prohibted From Being Funny on Television” tour. Reggie was featured as “Hot Comedian” in Rolling Stone’s Hot Issue 2010, named SPIN Magazine’s “Best New Comedian” and “Best of CMJ” 2010, and a featured profile in GQ’s Man Of The Year issue 2010. Reggie released his debut comedy cd/dvd ‘Why $#!+ So Crazy?’ on Comedy Central Records in May 2010. He has a new album entitled ‘Reggie Watts Live at Third Man Records’ which will be available limited edition vinyl Spring 2011. On screen, Reggie has appeared on The Conan O’Brien Show, Late Night With Jimmy Fallon, HBO’s The Yes Men Save The World, Comedy Central’s Michael and Michael Have Issues, Iceland TV, UK’s “Funny Or Die,” PBS’ revamped Electric Company and the music video “What About Blowjobs?” for College Humor. Reggie can also be seen in short comedic interstitials during Comedy Central’s late night block and has a pilot for the channel in the works. 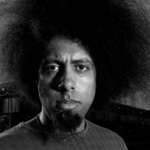 As a musician, Reggie recorded the EP Pot Cookies through Normative Records, sang on Regina Spektor’s “Dance Anthem of the 80s” and contributed two tracks to DFA Records’ Spaghetti Circus. Also the frontman for Seattle rock outfit Maktub, Reggie and his band released five albums. Reggie recorded original music featured on Louis CK’s show on FX and performed the theme song for Kristin Schaal’s “Penelope Princess of Pets” show. He has played sold-out solo runs at Fusebox, SXSW, Bonnaroo, Soho Theatre (London), Brian Eno’s Luminous Festival at the Sydney Opera House, Montreal Comedy Festival, PopTech!, Vancouver Comedy Festival, Bumbershoot, Sydney Festival, Outside Lands Festival and cities throughout the world including Amsterdam, Paris, Cologne, Madrid, Stockholm, Copenhagen, Melbourne, Cape Town and Rekjavik, among others. Reggie recently received the ARGUS ANGEL AWARD 2010 In Recognition Of Artistic Excellence at the Brighton Festival. In New York, Reggie regularly performs at The Box, UCB, Comix, the Bellhouse, Slipper Room, Caroline’s, Union Hall and Moonwork. Reggie also received the ECNY Award (2009) and Andy Kaufmann Award (2006) for his brand of innovative stand-up performance. 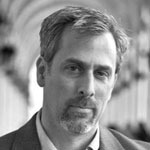 Avi Rubin is Professor of Computer Science at Johns Hopkins University and Technical Director of the JHU Information Security Institute. Avi’s primary research area is Computer Security, and his latest research focuses on security for electronic medical records. Avi is credited for bringing to light vulnerabilities in electronic voting machines. In 2006 he published a book on his experiences since this event. Prior to joining the faculty at Johns Hopkins, Avi worked in the Secure Systems Research Department at AT&T Labs – Research. His work there was in the area of cryptography, network security, Web security and secure Internet services. Before AT&T, Avi worked at Bellcore (now Telcordia) in Applied Research. He received a B.S. (‘89), M.S.E. (‘91), and Ph.D. (‘94) in Computer Science from the University of Michigan in Ann Arbor. Dr. Jane Rigby is an Astrophysicist at the NASA Goddard Space Flight Center. She serves as Deputy Operations Project Scientist for the James Webb Space Telescope. 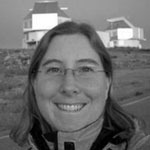 As a user of the Hubble, Spitzer, Chandra, and Herschel space observatories, and the Keck and Magellan observatories on Earth, her research focuses on two subjects: black holes in the centers of galaxies, and galaxies that rapidly forming new stars. Previously, she was a Carnegie Fellow and a Spitzer Fellow at the Carnegie Observatories in Pasadena, California. She received her Ph.D. in 2006 from the University of Arizona. She has B.S. degrees in Physics and in Astronomy from Penn State. Dr. Arun Majumdar became the first Director of the Advanced Research Projects Agency – Energy (ARPA-E), the country’s only agency devoted to transformational energy research and development, in October 2009. Dr. Majumdar also currently serves as Senior Advisor to the Secretary. Dr. Majumdar helped shape several strategic initiatives in the areas of energy efficiency, renewable energy, and energy storage. 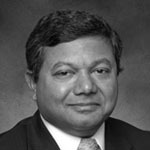 Prior to joining ARPA-E, Dr. Majumdar was the Associate Laboratory Director for Energy and Environment at Lawrence Berkeley National Laboratory and a Professor of Mechanical Engineering and Materials Science and Engineering at the University of California, Berkeley. His highly distinguished research career includes the science and engineering of energy conversion, transport, and storage ranging from molecular and nanoscale level to large energy systems. In 2005, Dr. Majumdar was elected a member of the National Academy of Engineering for this pioneering work. At Berkeley Labs and UC Berkeley, Dr. Majumdar helped shape several strategic initiatives in the areas of energy efficiency, renewable energy, and energy storage. He also testified before Congress on how to reduce energy consumption in buildings. Dr. Majumdar has also served on the advisory committee of the National Science Foundation’s engineering directorate, was a member of the advisory council to the materials sciences and engineering division of the Department of Energy’s Basic Energy Sciences, and was an advisor on nanotechnology to the President’s Council of Advisors on Science and Technology. 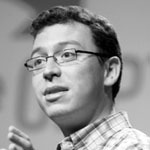 Luis von Ahn is an entrepreneur and an associate professor in the Computer Science Department at Carnegie Mellon University. He is the founder of reCAPTCHA, which was sold to Google. Luis is working on Duolingo, which aims to coordinate millions of people to translate the Web into every major language. In 2011, Foreign Policy Magazine named him the most influential intellectual of Latin America and Spain. As a professor, his research includes CAPTCHAs and human computation, and has earned him international recognition and numerous honors. He was awarded a MacArthur Fellowship (a.k.a., the “genius grant”) in 2006, the David and Lucile Packard Foundation Fellowship in 2009, a Sloan Fellowship in 2009, and a Microsoft New Faculty Fellowship in 2007. He has also been named one of the 50 Best Brains in Science by Discover Magazine, and has made it to many recognition lists that include Popular Science Magazine’s Brilliant 10, Silicon.com’s 50 Most Influential People in Technology, Technology Review’s TR35: Young Innovators Under 35, and FastCompany’s 100 Most Innovative People in Business. Siglo Veintiuno, a leading newspaper in Guatemala, chose him as the person of the year in 2009. In 2011, Foreign Policy Magazine in Spanish named him the most influential intellectual of Latin America and Spain. 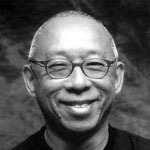 Ping Chong is an internationally acclaimed theatre director, playwright, video installation artist, and pioneer in the use of media in the theater. In his 39 year career in the theater, he has been a restless explorer of new possibilities and new directions, always pushing at the boundaries of what theater is and can be. Mr. Chong’s work has been presented around the world. In 1992, Ping Chong created the first work in the Undesirable Elements series of oral history projects exploring issues of culture and identity in different communities. Since then there have been over 40 productions around the world. His 2005 puppet theatre production, Cathay: Three Tales of China, created with the Shaanxi Folk Art Theater of Xian, China, received 3 Henry Hewes Design Awards by the New York Theatre Wing. Among his many honors and awards, he has received a Guggenheim Fellowship, a USA Artist Fellowship, two BESSIE awards and two OBIE awards, including one for sustained Achievement in 2000. Theatre Communications Group published his first collection of plays, The East-West Quartet, in 2005 and will publish a book dedicated to Undesirable Elements in 2012. His stage adaptation of Akira Kurosawa’s Throne of Blood premiered at the Oregon Shakespeare Festival in July 2010 with performances in BAM’s Next Wave Festival November 2010 and received Falstaff Awards for best direction and adaptation. Cry for Peace: Voices from the Congo will premiere at Syracuse Stage in September 2012 and tour thereafter. Paula Apsell got her start in broadcasting at WGBH Boston and in 1975 joined NOVA, a science documentary series that has set the standard for science programming on television. Today, NOVA is the most popular science series on American television and online. Under Apsell’s leadership, NOVA has won every major broadcasting award, including the Emmy; the Peabody; and the AAAS Science Journalism award. After a stint as senior producer for medical programming at WCVB, the ABC affiliate in Boston, working with Dr. Tim Johnson, Apsell spent a year at MIT as a Knight Science Journalism Fellow. In 1985, she was asked to take over the reins at NOVA where she is now Senior Executive Producer and Director of the WGBH Science Unit. 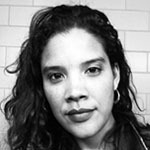 As well as overseeing the production of NOVA documentaries and miniseries for television, she has directed the series’ diversification into other media—most notably online, where NOVA is the most visited site on PBS.org. NOVA can also be found in classrooms nationwide, where it is the most widely used television series among high school teachers. In January 2005, Apsell introduced a NOVA spinoff in NOVA scienceNOW, a critically acclaimed science newsmagazine hosted by Dr. Neil deGrasse Tyson. Other recent signature NOVA and Science Unit productions include The Elegant Universe, Origins, Einstein’s Big Idea, Forgotten Genius and the large format feature Shackleton’s Antarctic Adventure. Today, NOVA is the most popular science series on American television and online. Under Apsell’s leadership, NOVA has won every major broadcasting award, some many times over, including the Emmy; the Peabody; the AAAS Science Journalism award; the Gold Baton duPont-Columbia; and an Academy Award® nomination for Special Effects. In 1998, the National Science Board of the National Science Foundation awarded NOVA its first-ever Public Service Award. Apsell has been recognized with numerous individual awards for her work, including the Bradford Washburn Award from the Museum of Science, Boston; the Carl Sagan Award given by the Council of Scientific Society Presidents; the American Institute of Physics Andrew Gemant Award; the Planetary Society’s Cosmos Award; the International Documentary Association’s Pioneer Award; the National Space Club of Huntsville Media Award; and the New York Hall of Science Distinguished Service Award for Public Understanding of Science. 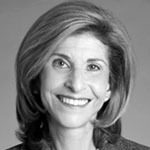 She has served on the board of the Smithsonian’s National Museum of Natural History; the Brandeis University Sciences Advisory Committee; and the International Documentary Association. Apsell was recently granted an honorary doctorate from Southern Methodist University. 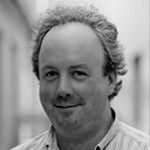 Bob Corrigan is the director of product management for the Encyclopedia of Life (EOL), an ever-expanding, trusted, web-based biodiversity resource launched in 2008 following Professor E.O. Wilson’s TED Prize wish in 2007. EOL’s vision is to provide global access to knowledge about life on Earth. Bob is a member of the EOL team based at Smithsonian Institution’s National Museum of Natural History. Prior to joining EOL, Bob served as the VP of Product Management for Emmi Solutions. 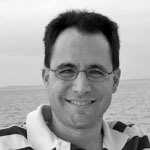 He has held product management and marketing roles at small and large organizations including Compuware, Sybase, InstallShield, and Macrovision. He earned his BS in Microbiology from the University of Notre Dame. 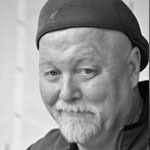 Bob describes himself as a writer, product manager, musician, raconteur, gardener, collector, traveller, gourmand, and Francophile. He currently resides in Maryland with his wife, two kids, some orchids, and a cockatiel named Kitteh. Stowe is an internationally recognized authority on social tools and their impact on media, business, and society. He is best known for his commentary on the social revolution, and his research on work media, social business, the social web, publicy, social cognition, networked identity, and the future of work. Stowe is at work on a new book about the rise of a socially augmented world. Rebecca Renard is being hailed as a library education innovator. She works in the DC Public Library and has won two national awards recently. 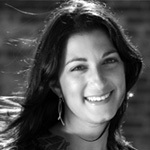 Rebecca is also the force behind creating the #youth202 community and a podcast, all manned and hosted by DC students. She created a nationally-recognized library program to educate the youth about homelessness, called “Your Story Has A Home Here”. Even with limited resources Rebecca has transformed the DC Summer Youth Employment Program via various creative approaches. The Washington Post has recognized her as a pivotal community force in helping to rebuild the Anacostia community. 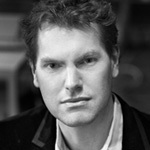 Duncan Watts is a principal research scientist at Yahoo! Research, where he directs the Human Social Dynamics group. Prior to joining Yahoo!, he was a full professor of Sociology at Columbia University. He has also served on the external faculty of the Santa Fe Institute and Nuffield College, Oxford. His research on social networks and collective dynamics has appeared in a wide range of journals. 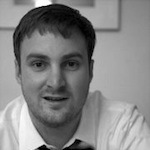 Duncan Watts is a principal research scientist at Yahoo! Research, where he directs the Human Social Dynamics group. Prior to joining Yahoo!, he was a full professor of Sociology at Columbia University, where he taught from 2000-2007. He has also served on the external faculty of the Santa Fe Institute and Nuffield College, Oxford. His research on social networks and collective dynamics has appeared in a wide range of journals, from Nature, Science, and Physical Review Letters to the American Journal of Sociology. He is also the author of “Six Degrees: The Science of A Connected Age” (Norton, 2003), and recently “Everything is Obvious (Once You Know The Answer)” (Crown Business, 2011). He holds a B.Sc. in Physics from the Australian Defence Force Academy, from which he also received his officer’s commission in the Royal Australian Navy, and a Ph.D. in Theoretical and Applied Mechanics from Cornell University. 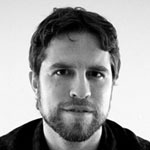 Dante Chinni is the director of Patchwork Nation, a project funded by the John S. and James L. Knight Foundation and housed at the Jefferson Institute and a partner of PBS NewsHour. Based in Washington, D.C., he has been covering politics and the media for more than 10 years. 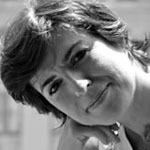 Chinni has worked as a reporter-researcher at Newsweek and a senior associate at the Project for Excellence in Journalism. 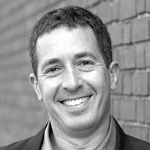 Eldar Shafir is the William Stewart Tod Professor of Psychology and Public Affairs in the Department of Psychology and the Woodrow Wilson School of Public and International Affairs at Princeton University. His research focuses on decision-making, and on issues related to behavioral economics, with an emphasis on empirical studies of how people make decisions in situations of conflict and uncertainty. Shafir is co-founder and scientific director of Ideas42, a social science R&D lab that attempts to apply, often through strategic partnerships, behavioral insight and cutting-edge research to deal with some of the world’s tough social problems. He is currently at work on a new book with Sendhil Mullainathan about the psychology of scarcity, due out from Henry Holt in 2012. Jay Parkinson, MD, MPH is a pediatrician and preventive medicine specialist with a masters in public health from Johns Hopkins. He’s been called “The Doctor of the Future” and one of the “Top Ten Most Creative People in Healthcare” by Fast Company. Esquire Magazine included him in 2009′s “Best and Brightest: Radicals and Rebels Who Are Changing the World” issue. After completing residency, he started a practice for his neighborhood of Williamsburg, Brooklyn in September 2007. People would visit his website; see his Google calendar; choose a time and input their symptoms; his iPhone would alert him; he’d make a house call; they’d pay him via Paypal; and he’d follow up by email, IM, videochat, or in person. This concept led to Jay co-founding Hello Health, a novel way of experiencing healthcare via a Facebook-like platform that uses technology — including email, instant messaging, and video chat — to restore the traditional doctor-patient relationship but updated for today’s lifestyle. He’s been called “The Doctor of the Future” and one of the “Top Ten Most Creative People in Healthcare” by Fast Company. Esquire Magazine included him in 2009′s “Best and Brightest: Radicals and Rebels Who Are Changing the World” issue. He’s been featured in GOOD Magazine, CNN, Newsweek, and Health Affairs. The leading trade publication for hospital and system executives, Hospitals and Health Networks, dedicated a cover article to Jay entitled, Your Future Chief of Staff? Jay also appears in Seth Godin’s new book, Linchpin. Since 1993, Danielle Brian has been the Executive Director of the Project On Government Oversight (POGO), a nonprofit government watchdog organization. She frequently testifies before Congress, and often appears in major national media. Under Ms. Brian’s direction, POGO has conducted numerous investigations that have resulted in major public policy reforms. Under Ms. Brian’s direction, POGO has conducted numerous investigations that have resulted in major public policy reforms. Under Ms. Brian’s leadership, POGO has also been working to strengthen the oversight infrastructure of the government itself. Ms. Brian serves on the board of Taxpayers for Common Sense and the Center for Legal Empowerment, Accountability, and Reform (CLEAR). In 2006, Ms. Brian was inducted into the Freedom of Information Act Hall of Fame; and in 2008, Ethisphere magazine ranked her among the top 100 most influential people in business ethics. Ms. Brian earned her Master’s degree in International Relations from the School of Advanced International Studies at Johns Hopkins University in 1990, and her Bachelor’s degree in Government from Smith College in 1985. Jon Maurer has been a member of the Baltimore original music scene for over 17 years. His search for a new universe of sound led him to Marcodi Musical Products. 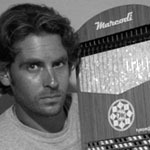 Marcodi, also based in Baltimore, is the creator of the harpejji, a hand-crafted instrument that was featured in Academy Award winner, A. R. Rahman’s song, “If I Rise,” as performed by Rahman in this year’s Oscar Awards. Erica Frenkel helps lead UAM Global, a social enterprise enabling safe surgery through innovative anesthesia technology. She has been a Peace Corps volunteer, managed the Global Media AIDS Initiative for the Kaiser Family Foundation and helped shape public health initiatives as a consultant for the Clinton Foundation, the Liberian Ministry of Health, Merck Vaccines, and the Wellcome Trust. Erica is the co-author of “Rebuilding human resources for health: a case study from Liberia” in Human Resources for Health and “Leveraging public private Partnerships to address global vaccine needs”, a special report for the Hilleman Laboratories. She is based in New York City. Phil Salesses is an American creative, strategist and technologist, currently finishing his masters degree at the MIT Media Lab. His latest project, Place Pulse, is a “hot-or-not” style web application that attempts to define curb appeal by crowdsourcing opinions on places using freely available Google Streetview. Before joining the MIT Media Lab, Phil was a Principal Investigator for the US Army Corps of Engineers. Before studying under César Hidalgo at the MIT Media Lab, Phil was a Principal Investigator for the US Army Corps of Engineers where he explored methods of autonomously classifying vegetation from unmanned ground vehicles. He also moonlighted as a programmer for the US Army Geospatial Center where he helped develop a web application capable of serving up high-resolution, 360°, street level imagery, similar to Google’s Streetview. He has held positions at small and large organizations including Apple and Marriott as well as with various web startups. He attended the Naval Academy and James Madison University and holds a BS in Geographic Science. Jon Lowenstein has been a professional photographer for more than ten years. He specializes in long-term, in-depth projects that confront the realms of power, poverty, and violence. As a documentary photographer, he strives for unsparing clarity, and believes images make a critical contribution by revealing the subjects of history that lack voice. 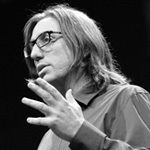 Lowenstein is a 2011 Guggenheim Fellow and 2011 TED Fellow. For more than a decade Jon Lowenstein has traveled, studied, and documented the experiences of undocumented Latin Americans living throughout the United States. Shadow Lives USA follows the migrant trail from Central America, through Mexico and throughout the United States in an effort to the real stories of the men and women who make up the largest transnational migration in world history. He has also spent the past decade documenting and working with folks in his community on the South Side of Chicago. This project asks important questions like what does South Side mean? Told by the community with fewer filters, more raw, real, honest and still with an aesthetic that’s a personal collaboration between himself and the community where he lives and works South Side becomes a true integrative expression of a uniquely American time and place. This participatory media project seeks to open a new dialogic space in a place that Jon has been documenting for more than a decade. Lowenstein was recently named a 2011 Guggenheim Fellow. He was chosen out of 3000 applicants for the prestigious prize. He is also currently a 2011 TED Global Fellow. In 2008 he was named the Joseph P. Albright Fellow by the Alicia Patterson Foundation and also won a 2007 Getty Images Grants for Editorial Photography. He also won a 2007 World Press Award and was named as a USC Annenberg Institute for Justice and Journalism Racial Justice Fellowship. He won the 2005 NPPA New America Award, a 2004 World Press photo prize, 2003 Nikon Sabbatical Grant, the 58th National Press Photographer’s Pictures of the Year Magazine Photographer of the Year Award and Fuji Community Awareness Award. His international assignments include covering elections in Afghanistan to the aftermath of the 2010 earthquake in Haiti to social violence in Guatemala. Most recently, he began a project about the impact of cerebral Malaria in Children in Uganda.